a pleasurably intro to clown/fool history. my major critique is that the history is primarily a(nother) dominant class men's history of the underdog. is notably lacking any female clowns and the author gives a nod at the end to the importance of queer/gay clowns but does not mention any names.but super entertaining, and lots of good info! 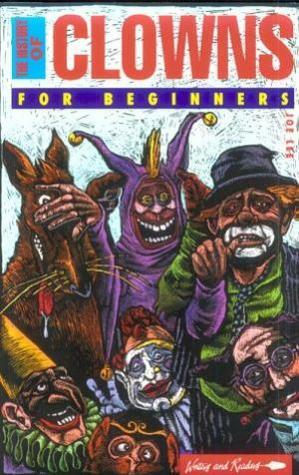 tracking from shaman to trickster to the circus to the marx brothers....a good beginning volume. I think the For Beginners series of books makes for great public transportation reading, though the quality varies. The best one I’ve seen so far is The History of Clowns. This one hops from the trickster god motif to fools, jesters, comedians, yippies and of course clowns. Trace back Pee Wee Herman’s family tree and find Diogines the Cynic.